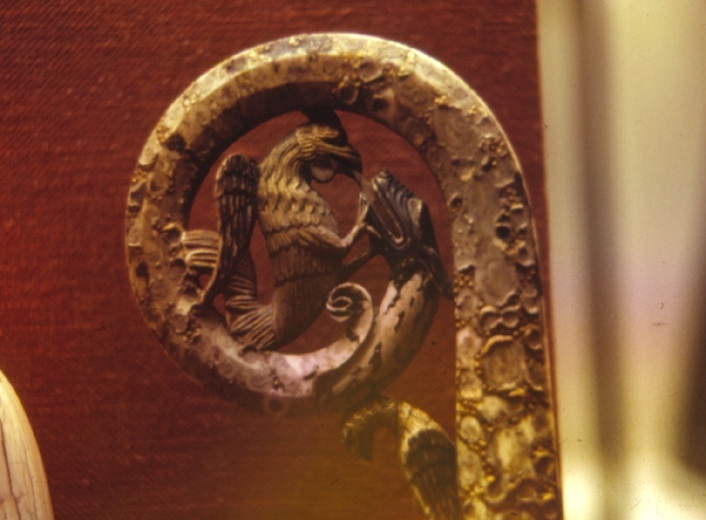 The winged dragon was the symbol of pagan Rome and Catholicism has made it its own. The serpent and winged dragon symbols are seen throughout Catholicism, and are found originating in ancient pagan cultures. Many of the images in this album are featured in Amazing Discoveries' Total Onslaught: The Wine of Babylon lecture. Purchase The Wine of Babylon DVD or view the lecture online. 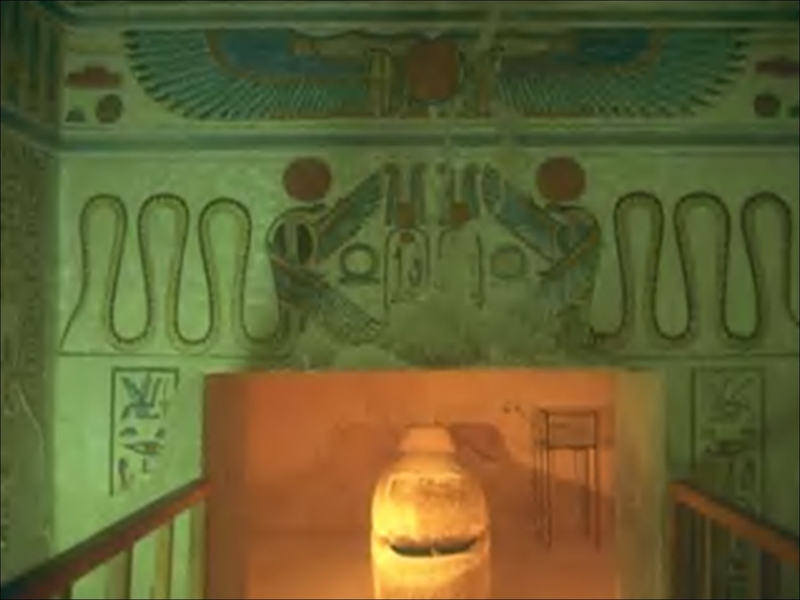 Egyptian covering cherubs in the form of serpents. Watch The Wine of Bablyon on ADtv for more information. The Vatican has taken over the serpent symbol. The greatest serpents in the world are found on Bernini's canopy in Rome, surrounding the tomb of St. Peter. Interestingly enough, St. Paul's cathedral in London, which once was Protestant, is now rebuilt as an exact duplicate of the Vatican and also has serpent pillars. Watch The Wine of Bablyon on ADtv for more information. 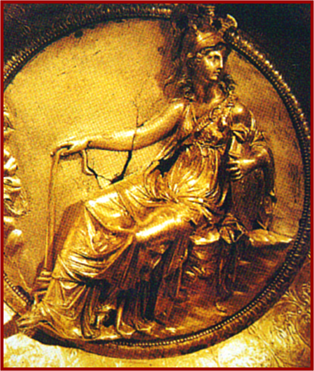 An ancient goddess holding a croisier. Watch The Wine of Bablyon on ADtv for more information. 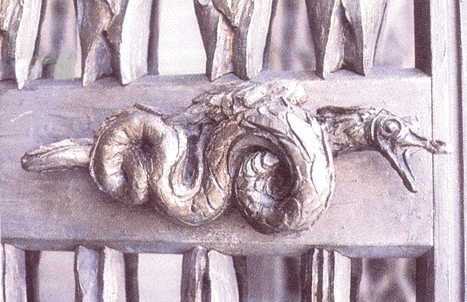 A serpent door handle on St. Mary's Cathedral in San Francisco, California. 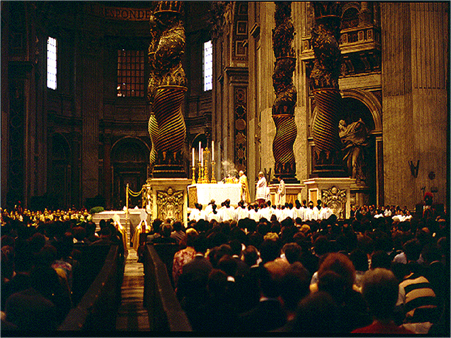 View more images of pagan Catholic architecture. Watch The Wine of Bablyon on ADtv for more information. 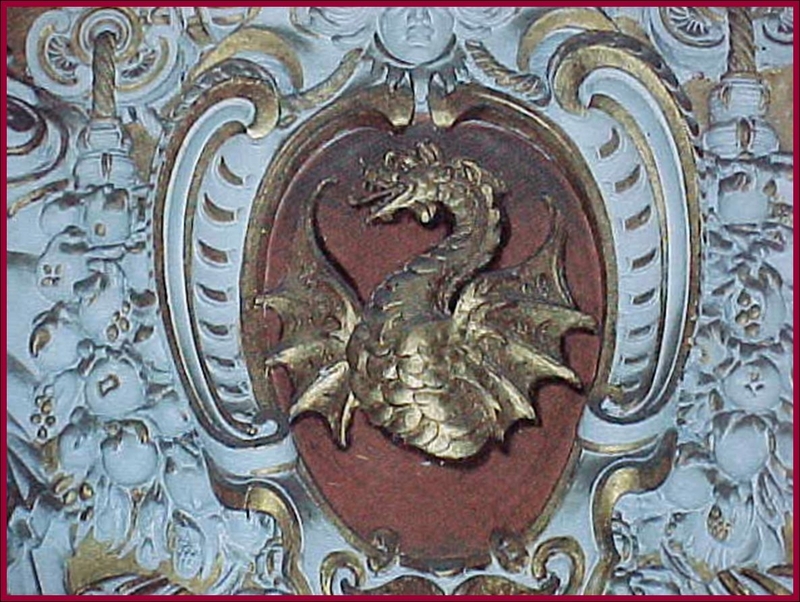 A dragon on a papal crest in the Vatican Museum. Watch The Wine of Bablyon on ADtv for more information. 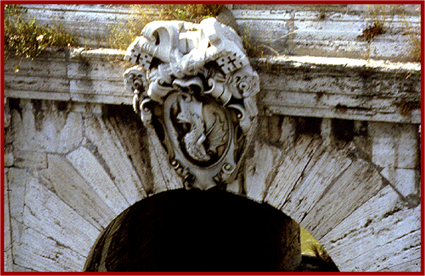 A serpent symbol on a Roman bridge built during pagan times. Watch The Wine of Bablyon on ADtv for more information. Roman bath in Bath, England. 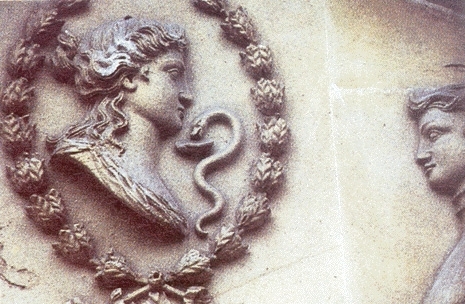 Notice the serpent, a symbol of healing. Watch The Wine of Bablyon on ADtv for more information. Mary standing on a serpent in a church in Bethlehem. Watch The Wine of Bablyon on ADtv for more information. 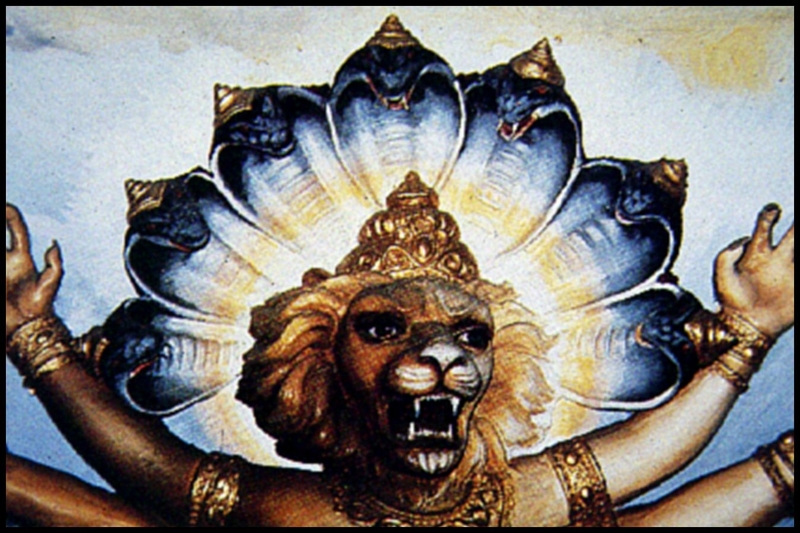 Serpents behind the head of Lord Nrsimhadeva, India. Watch The Wine of Bablyon on ADtv for more information. Top picture: The winged serpent spirit, signifying the soul of the departed. Egypt. 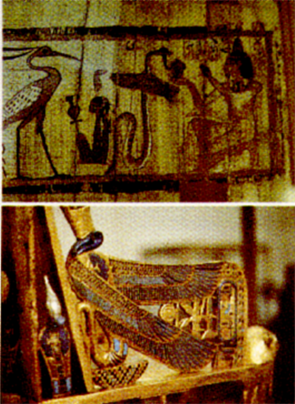 Bottom picture: Winged serpent guardians on King Tut's throne Cairo, Egypt. Watch The Wine of Bablyon on ADtv for more information. 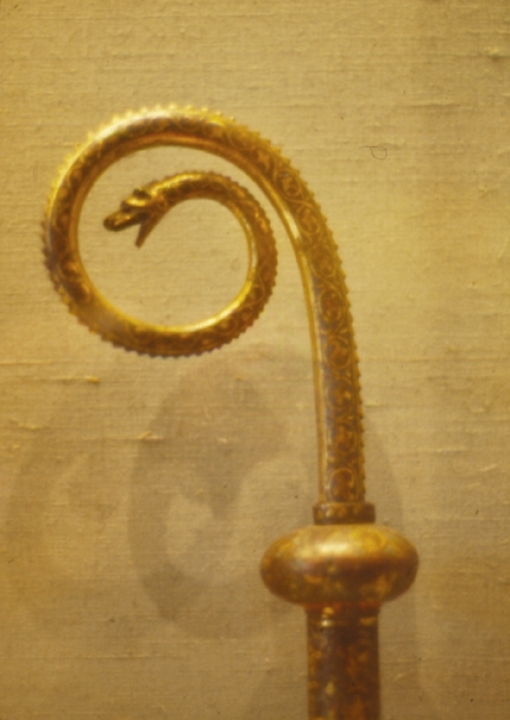 Serpent crosiers were commonly carried by bishops and high Catholic officials during the Middle Ages. Watch The Wine of Bablyon on ADtv for more information.